The first zero-footprint, mobile-ready version of TWAIN's royalty-free open standard protocol. TWAIN Direct expedites development of applications accessing scanners, without requiring vendor-specific drivers. 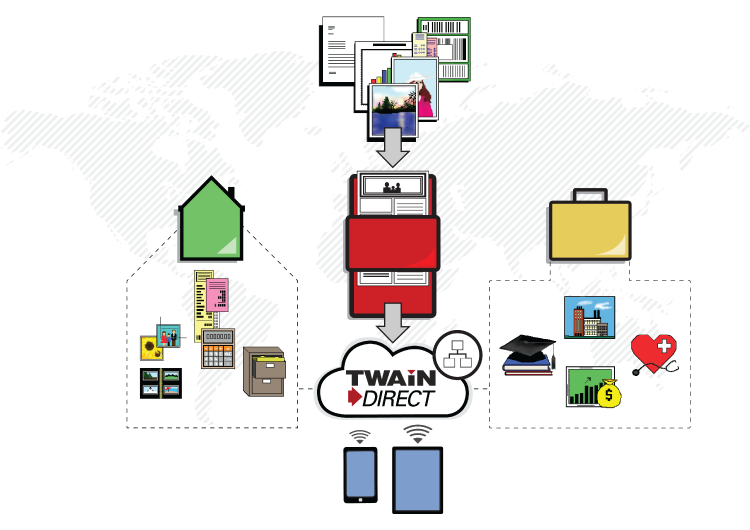 TWAIN Direct addresses the need for something simple and direct that expedites application development and results in a feature-rich end user experience. Supports direct network communication between desktop or mobile applications and scanning devices.